Even the best of marksmen will falter when the accuracy of their riflescope doesn’t match up to their shooting skills. So if you take your shooting seriously and you want to do your skills justice, you need the best of the best. This guide will tell you how to select the best scope for your .223 caliber rifle to ensure that your prey never again slips out of your crosshairs. We’ve also compiled a list of 4 scopes which we believe is more than up to the task. The now iconic .223 Remington was first brought to the market by Remington back in 1964. It entered the mainstream through widespread use in the M16s by the Army and has since, solidified its position as one of the most popular cartridges out there, helped in large part by its availability and affordable pricing. It is now one of the best choices of cartridge for varmint hunting. Because it’s not that powerful of a round, it’s mostly used for shooting coyotes, groundhogs, etc. Some patrons, however, swear by the .223 for all of their game hunting needs, including deer and moose. We’re sure you have your favorite rifle close at hand. But how do you go about finding a scope for the .223 which will be the perfect tool to add to your arsenal. Before you start window shopping, there are a few basic terminologies you need to be aware of. You need to first decide upon your desired shooting range. If you want to do close range shooting (up to 200 yards), a magnification of 4X will do just fine. However, if you’re intent on hunkering down and hitting those long distance targets, you must get yourself a scope with a magnification of at least 9X. In long distances, the picture often gets fuzzy because of parallax. So it’s best to get a scope with adjustable parallax. This one’s a no-brainer. You would want a scope that would last you a long time, especially since you’re spending big bucks on them. If you put in a cheap one, you know it’s gonna get utterly demolished after just a few shots. You need one made out of aircraft-grade aluminum or something just as sturdy. You also need lenses that will hold their own in all weather conditions. Nitrogen purged lenses are usually waterproof, dust and fog proof and also shock resistant to a high degree. Of course, having a lifetime replacement warranty helps as well. Eye relief is absolutely crucial with every scope. You do not want it to hit your eyes. If you’re going to keep your eyes free of injury when using heavy recoiling rounds or shooting from unconventional angles, you would want a good amount of buffer space between your eyes and the scope. 3 to 4 inches of eye relief should be a bare minimum when you’re looking to buy a scope. There are a ton of great scopes out there, but each one is still different. You need to choose the most suitable one for your needs. Here are our top picks! The P-223 series from Nikon features both scopes for long range target shooting and lightweight, more compact ones for close quarters shooting. Nikon’s Spot On Ballistic Match technology with its trajectory calculating functionalities ensure you will hit your mark every single time. The BDC 600 reticle was built specifically keeping the trajectory of the .223 caliber in mind. It has open circles for more accurate aiming and hash marks from 100 to 600 yards. The scope in itself is fully multicoated, which provides maximum light transmission (cited as 98%) and is suitable for scoping out your targets even in extremely dimly lit conditions. The P-223 has a zero reset feature which helps you maintain your current setting when you’re on the ground. The ¼ MOA Hand-turn Tactical-Style reticle adjustments ensure you’re on target even with heavy recoils. The eye relief of 3.6 inches is generous enough to protect your brow against the strongest of recoils even when shooting from unusual angles. Some would argue that this is the most essential feature in a riflescope and the P-223 passes this test with flying colors. With nitrogen purged optical chambers and O-ring sealed lenses, the eyepiece is entirely waterproof and fog proof and is also shock resistant to a large degree. However, the best feature of the scope is undoubtedly the quality of the images in the scope. Crisp and clear with almost perfect contrast, it seems like you are viewing everything in high-definition. Nikon’s Ballistic Match Technology calculates bullet trajectories accounting for bullet drop and windage corrections. Designed explicitly for the .223 Remington, this makes for perfect accuracy from 100 to 600 yards. This scope really is a complete package with great durability, perfect picture quality, and on-point accuracy. Bushnell took the benchmarks of every scope – optical precision, rugged reliability, uncompromising performance and pushed them to the limit. What Makes This Product A Great Buy? When it comes to accuracy, it really can’t get any better than this scope. It features target turrets for pinpoint accuracy and has caliber specific reticles which make sure you’re on point with every single shot. The fast focus eyepiece and multi-coated optics let you get your target in your sight from dawn to dusk, no matter how fast it tries to run away. The optics themselves are Nitrogen purged to remove any remnants of internal moisture. And they are also O-ring sealed to prevent the entry of dust or moisture. The outside, made of aircraft-grade aluminum alloy is just as sturdy with an anodized exterior to back it up. This makes the rifle rust proof, virtually scratchproof and the matte finish ensures it’s a sleek and sophisticated complement to your firearm. Particularly suited for close quarters shooting (about 100 yards) it also has a drop zone with aiming points up to 500 yards. The reticle is a little too thick in my opinion. But that shouldn’t be a problem in close quarters shooting. The scope’s erector cap (located at the bottom) may limit the possibility of using low scope rings, should you be so inclined. Medium height rings, however, will work just fine and provide the necessary clearance between the cap and the scope base. Bushnell, as usual, has come up with a scope which looks like it’s straight out of the movies. Made out of the stuff airplanes are made of, it’s immensely sturdy too. Best suited for close quarters shooting (about 100-200 yards), the target turrets do a great job in accounting for small, minute changes in the crosshairs while shooting. Much like the last one, this one has more magnification power and a larger objective lens, making it a much better choice for long range shooting. 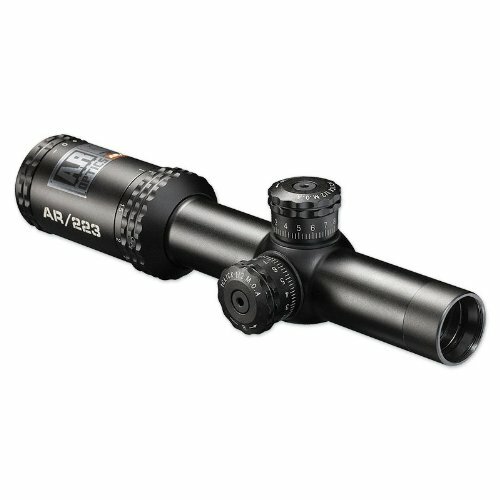 What Makes This Scope Great? Just like the last one from Bushnell, this scope scores top marks in precision and accuracy. Target turrets at 1/4 MOA click value allow for pinpoint adjustments. Top that off with a fast focus eyepiece, and you know that you’re the fastest gun out there. Another great feature is the side focus parallax adjustment, which allows for adjustable long-range accuracy. Rest assured, you won’t face any problems with parallax when using this scope. The reticle is located on the second focal plane which keeps the size of your targets consistent and more accessible to hit. The reticle, however, is not illuminated which might prove to be a difficulty at night. Needless to say, the eyepiece is fog proof, dustproof, water-resistant and shockproof as can be expected from such an elite model. A surefire contender for the mantle of best Remington scopes, the fast focus eyepiece, and target turrets are set to the tightest tolerances possible. Made with a focus on accuracy, this scope also has a parallax adjustment feature which ensures you never face any parallax during its whole 3X to 9X zoom range. 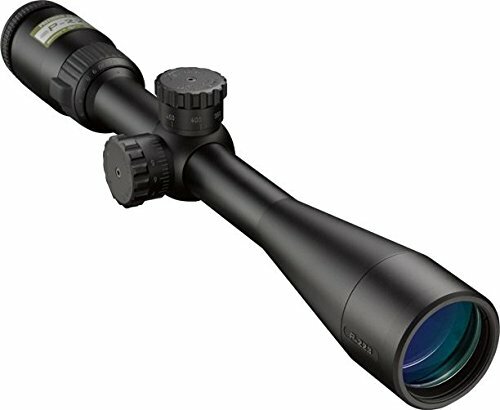 The Crossfire II line of scopes by Vortex has a tremendous amount of variety with something for everyone. If you take your shooting seriously, the Crossfire II series is guaranteed to put a smile on your face. Vortex has left no stone unturned when it comes to performance and reliability. Why You Should Definitely Give This Scope A Shot! Its huge zoom range of 4 to 12X is perfect for both medium and long range shooting. The large 44mm objective lens makes for a very large, clear image. And the dead hold BDC reticle is perfect when estimating holdover is a concern. It takes all the guesswork out of the picture when it comes to holdover and windage corrections. The reticle, being in the second focal plane, always keeps your prey in the same ideally-sized appearance. With resettable MOA turrets, the dead-hold reticle makes no compromises whatsoever. With an eye-relief of 3.9 inches, your eyes will never be in any danger, and you can concentrate your efforts solely on bettering your marksmanship. The picture is clear and bright with perfect contrast. So no matter how grassy your environment is, you can scope out your target with absolute ease. The lens is multicoated and anti-reflective, allowing for maximum light transmission. And the capped reset turrets are easily adjustable with MOA clicks that can be reset to zero after sighting in. The single piece construction with aircraft grade aluminum ensures strength and shockproof performance. The lenses are O-ring sealed, and the nitrogen purge makes the eyepiece resistant to water, fog, and dust. 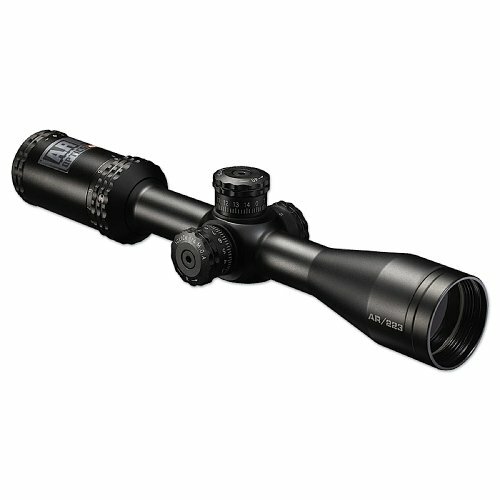 Sturdy, rugged and robust, this scope is sure to serve you for a good number of years. On top of that, there’s a lifetime warranty. Moreover, the fast focus eyepiece and the field of view are going to make sighting your targets a lot easier, even highly mobile ones. The field of view stretches from 8.4 feet to 24.7 feet at a 100 yards. Whether it’s dusk or dawn, rainy or foggy, the red dot will pierce through it all. For shooting and tactical hunting, it would be a crime to let this scope pass you by. Strictly for professionals only, the huge 12X zoom range and 44 mm objective lens is perfect for long range shooting. No matter how small or big your prey is, whether it’s stationary or on the move, you’ll get a clear image of it on the anti-reflective, multicoated lens. Moreover, the dead hold reticle with all it’s estimated trajectories eliminates all guesswork. Well, that concludes our buyer’s guide. It’s important to remember that you need to buy a scope which is especially suited for your needs. Take a look at our guide above, and you’ll have a pretty good idea of what you need to keep in mind before you set out to buy a scope. If you are a fan of longer shots, check which are the best scopes for 1000 yards.